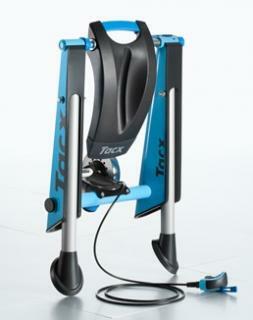 The Blue Motion is one of three turbo trainers that form Tacx’s Blue range. 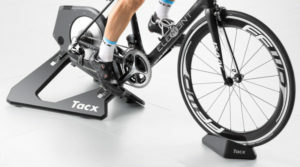 The Blue range is a more affordable range of turbo trainers from Tacx, aiming for the more causal user, but still someone who wants a quality product that offers a solid workout. The Blue Motion is the top of the Blue range and offers the greatest maximum resistance of the three. Using a powerful Neodynamic magnet combined with a 1.6KG flywheel, the Blue’s maximum resistance is 950 Watts. 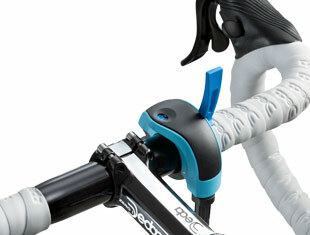 The resistance of the braking unit is controlled via a handlebar resistance lever, and there are 10 levels of resistance to choose from. 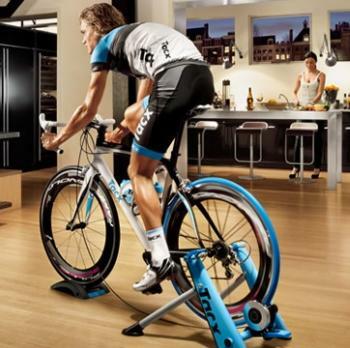 An added benefit of the Blue Motion turbo trainer is that it can fit both small and big wheels, with even 29 MTB wheels fitting. It is also full foldable for easy storage and transport.